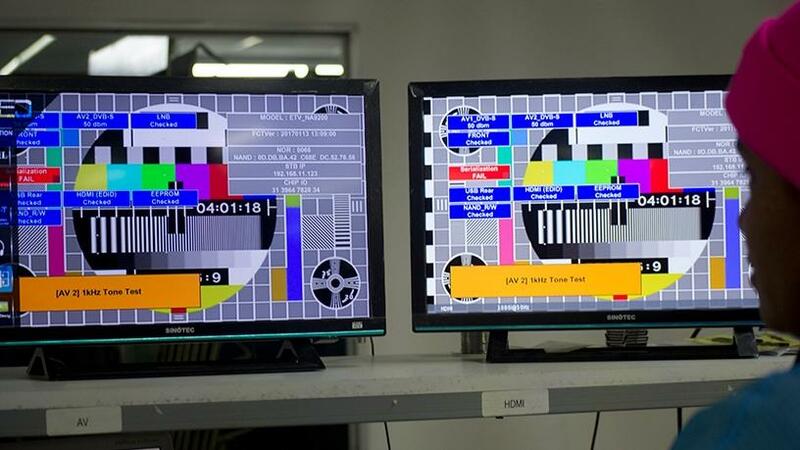 Two companies involved in the initial production stage of set-top boxes (STBs), CZ Electronics and Leratadima, say the decoders used in the digital migration process are locally manufactured products. This after communications minister Nomvula Mokonyane stated none of the companies selected as STB producers manufactured the decoders in SA. Mokonyane is of the view that the decoders were purchased overseas and brought into the country for the digital migration process. The manufacturers, however, have clarified that the decoders are locally made in their facilities located in SA. Oupa Magashula, CZ Electronics group chairman, says his company is a full manufacturing facility that produces electronic products such as decoders, TV sets, trackers and printed circuit boards. 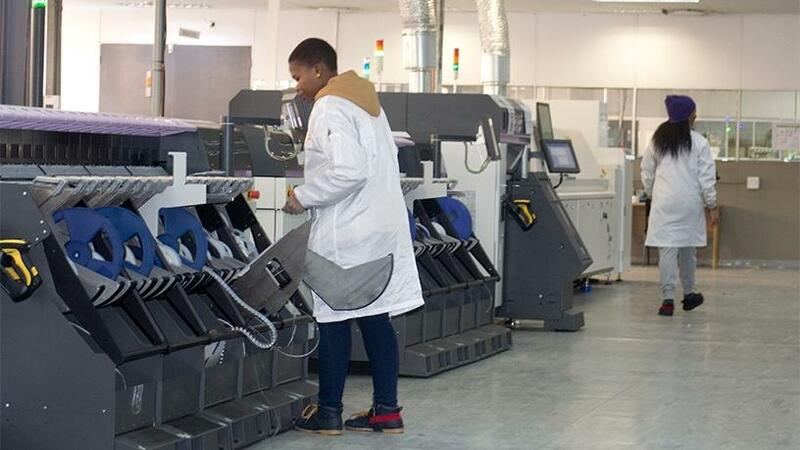 The company, situated in a Boksburg industrial park in the East of Johannesburg, opened its doors to ITWeb to showcase the work at its manufacturing facility. If CZ Electronics, Magashula states, makes a claim that the decoders were manufactured locally when they were not, that would be a criminal act. In addition, the Department of Communications will not give the "go digital" tick on the boxes, he notes. Malesela Kekana, who is in charge of regulatory affairs and SADC business development at CZ Electronics, explains: "When you talk manufacturing, there are key things you have to comply with. These are specific requirements which are mandatory; namely SABS requirements, ICASA for all interference and compliance to the Sentech network. All the boxes that were manufactured conform to all the standards that have been set," notes Kekana. "We are also fully compliant to local content requirement in terms of the DTI [Department of Trade and Industry] specifications, which refer to local manufacturing versus what is called assembly. We are not an assembly plant; we are a manufacturing entity specifically to these set-top boxes." 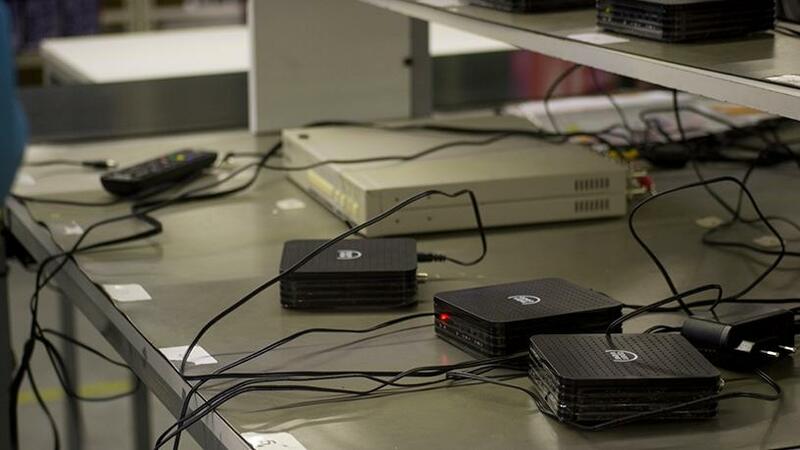 After awarding the R4.3 billion contract for set-top box production, the Universal Services and Access Agency of SA (USAASA), which is in charge of managing production of these digital migration devices, selected three companies to kick-start production of 1.5 million STBs. The companies (CZ Electronics, BUA Africa and Leratadima) each received a purchasing order [PO] for 500 000 decoders from USAASA. In terms of the PO, BUA Africa was contracted to manufacture the direct-to-home (DTH) decoders, while Leratadima and CZ Electronics were contracted to manufacture digital terrestrial television (DTT) STBs. In an update report to the Portfolio Committee on Telecommunications and Postal Services on progress of digital migration and STB production, USAASA revealed CZ Electronics delivered the complete order of 500 000 DTT STBs. Leratadima manufactured 336 026 DTT units, while BUA Africa delivered 23 208 DTH decoders. Leratadima, whose manufacturing plant is in Cape Town, also specified its set-top boxes were locally produced. The company is still to manufacture 169 000 decoders as per USAASA's order requirement. The stop and start instructions and payment delays by the customer have disrupted the production of this order, it adds. According to Magashula, to ensure manufacturers adhere to the local production standards, the DTI commissioned Ernst & Young (EY) to investigate that the manufacturers comply with the 30% threshold for local production of the decoders. "When EY came here, they saw where we source our components locally and internationally." Kekana adds: "A full audit was done and we exceeded the requirement of what will define the box as a locally manufactured product. We also had to show them [EY] all our collaboration efforts with original equipment manufacturers. We have an agreement with KAON, which is IP holder." 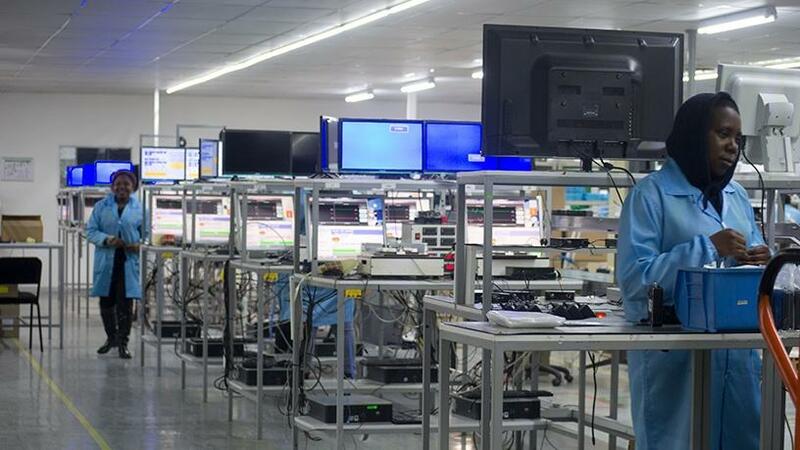 The agreement with KAON, a South Korean technology company, is in regards to licensing to supply CZ Electronics with a specific component that goes into the decoder and technology transfer, he states. "We had to license Dolby, KAON and HDMI. All the licensing requirements for us to produce a product in terms of the conditions set by the SA digital migration committee, we had to comply with those as well as SABS standards." In a statement, Tellumat, local technical partner of SmarDTV, supplier of the STB technology to Leratadima, states the local content verification division of the SABS audited all aspects of the component procurement, testing and product release before production was started and again during the production of the order. The statement reads: "As for the Leratadima delivery, all electronic components were supplied from other countries, as none of these components are manufactured locally. 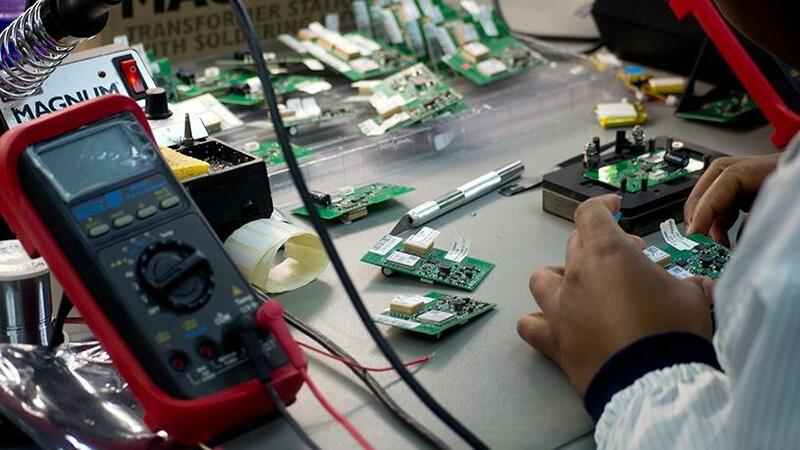 The PCBs were fully assembled, integrated and tested in local factories. Disabled individuals assembled the carton gift boxes, and, in total, the manufacturing process created about 150 direct jobs. 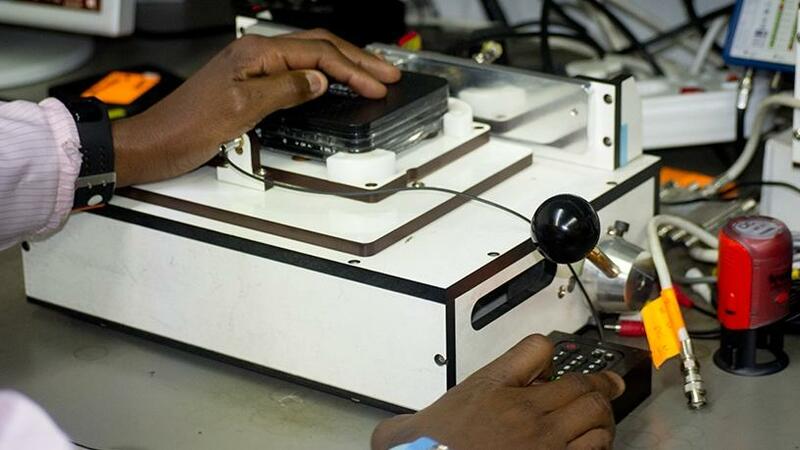 "The current DTT product in production utilises an increased volume of locally manufactured enclosures, wiring looms and packaging material, thereby further increasing local involvement in the digital migration project." It is heartening to hear the minister acknowledge government's responsibility to ensure local providers succeed with their endeavours, continues the Tellumat statement. "We applaud her for acknowledging that things need to be done differently in future, and hope there will be a ministerial visit to the factories involved, to witness first-hand the advanced levels of technology being manufactured in SA." * Photographs by Brian Ngobese.